With Drake House, a show apartment, head designer Max Prychidko gave a master class on how to style a home for winter. Existing client, Barratt London commissioned ani M INTERIORS to turn this three-bedroom, three-bathroom property into a spectacular lifestyle statement that would sweep potential buyers off their feet. The reception room was decorated throughout with shades of taupe and accented with turquoise, as it enriches earthy colours. He steered clear of using grey here as it can appear cold if not handled correctly and instead chose to bring an opulent finish with metallic touches of bronze and gold. The secret weapon though was his use of textured wallpaper. Embossed with a mosaic design, the subtle texture helps layer the room. “It follows the trend to enrich the space,” he says, “opulence is warming and comforting.” The same technique was employed in the hallway but this time, a pearlescent-finish wallpaper completed the look: elegant, simple and stylish. For the bedrooms, Max continued the light, earthy tones and crisp aesthetics to help beat the winter gloom. In the main bedroom, deep sapphire blue adds a touch of opulence to the sophisticated, pure white bed linen. Fawn-coloured walls are echoed by the lampshades and curtains while the rich, dark wood of the side tables and headboard surround make the room jewel-like on a dull winter’s day. The second bedroom continues the fawn walls and accents theme but here, he chose to layer with grey. 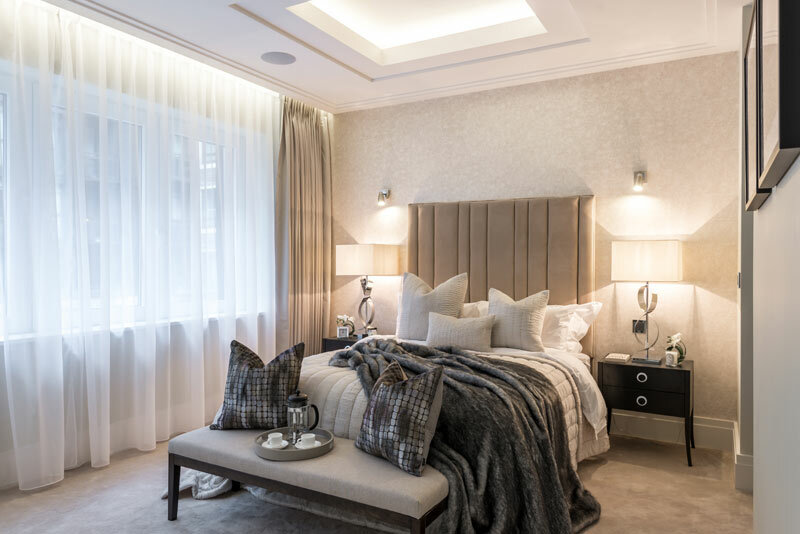 “Grey can look cold,” he says, “but not when combined with earthy tones that are naturally warming.” The secret is to layer soft furnishings using different textures such as knitted and cashmere throws with silk or faux fur cushions. The result is a bedroom that looks wonderfully cosy without looking overly busy or dark. 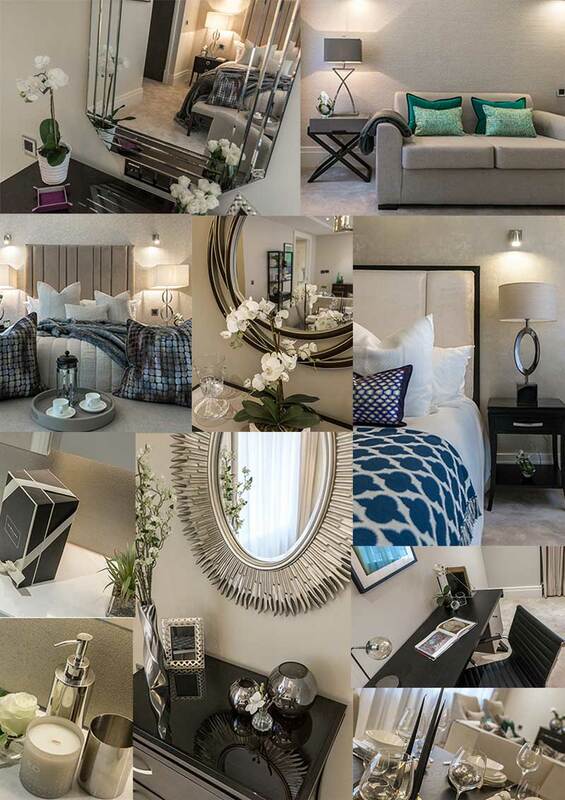 The client was very pleased with the bespoke furnishing and decoration throughout this high-end project. As it would be presented for sale in winter, it needed to look at its best in these gloomy months and the ani M INTERIORS team achieved this with ease. The proof is in the fact that the show apartment and its furniture was sold within a week of being exhibited to customers. As Max notes: “Winter styling is simple if you don’t make the common mistake of using sharp, geometric shapes or patterns and bold colours that are better suited to summer. For example, avoid bright blues or too many shades of grey that will look stark. Muted colours and layers of texture are the key to success. 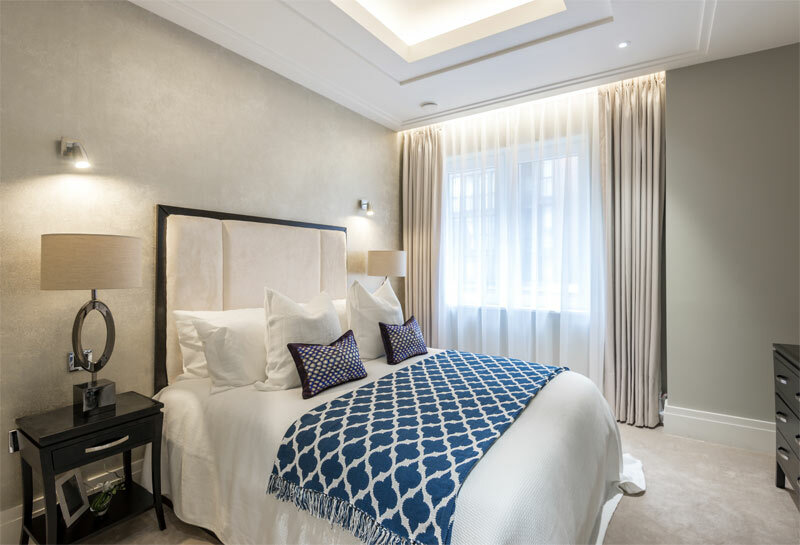 You can even use pure white so long as the textures you introduce soften it.” The result is a crisp and bright apartment that is warm and inviting – perfect for winter buyers. 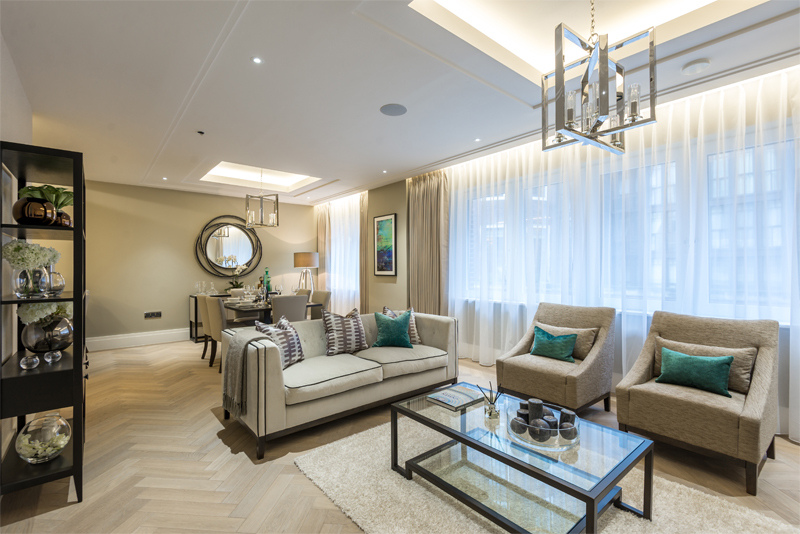 If you would like advice on creating a high-end, wonderful winter scheme for your show apartment then get in touch with the team today and your property could sell within a week too.